Back pain is the number one complaint in North America, affecting 80% of us at one time or another. Back problems often mean a permanent loss of some function, forcing you to give up things in your life you may not want to give up. That's the bad news. 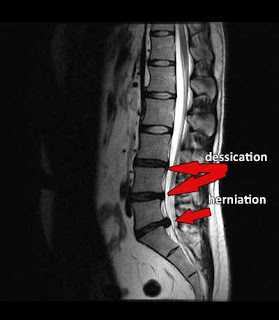 The good news is Spinal Disc Decompression. No surgery. No drugs. No incisions or injections. And for most people... no more back pain! Studies have demonstrated that 86% of patients report good to excellent relief of their symptoms. It is a Non-Surgical treatment which is Safe and Painless. Designed to correct the underlying problem, not just relieve the symptoms. Treatment is covered by most health insurance plans.